Chryssie Whitehead is back on Broadway as the fiery, murdering, pineapple heiress Go-To-Hell-Kitty in the long-running musical revival Chicago. Chryssie previously delighted New York audiences as Kristine in the first-ever revival of A Chorus Line and Kathy in the all-star New York Philharmonic Company. 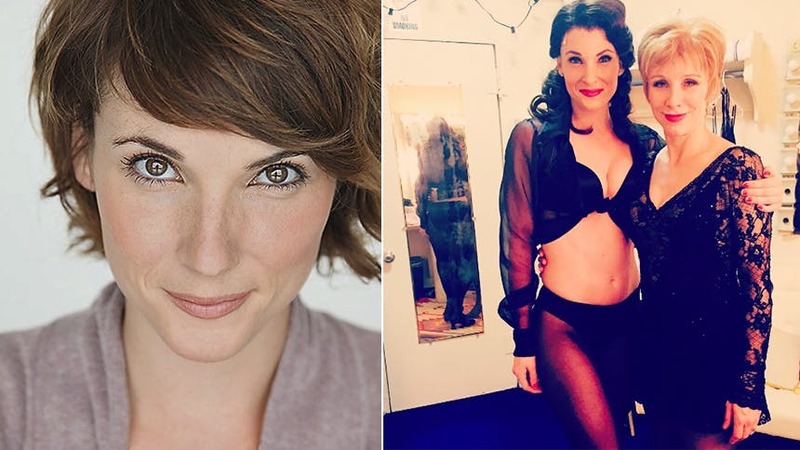 BroadwayBox caught up with the former Rockette to talk about joining the Tony-winning revival, the coolest thing she kept from a production, and advice she gives her students about performing on Broadway. 1. If your parents owned all the pineapples in Hawaii, what’s the first thing you’d buy yourself? Wow, if only! [Laughs] I would buy a piece of property and develop an arts center called Light Shine Arts where anyone can come and learn music, dance, vocals, acting, painting and other art forms. It’s been a dream of mine to do one day to have classes for free for all ages and abilities where no one is turned away. Then we would put on performances for local charities. 2. What’s been the biggest surprise about joining the Chicago family? There haven’t been too many surprises, other than that it really does seem like a family. They seem to keep hiring within and people always come back. They are good like that. I was fortunate to get in, as I am one of the few of the recent new people that hadn’t done the show before. It’s always fresh when we get new principles in and keeps it alive doing eight shows a week. 3. What’s your favorite scene to watch from the chairs on the side? Definitely, without a doubt, "Cell Block Tango". When I got the show I didn’t even remember who Kitty was and all I wanted to know was if she did that number. Ha! She didn’t, but I love watching our talented women give it their all and be so powerful in that number. I am always rooting for them on the sides and enjoy watching the audience’s reaction as you can see the first three rows’ faces very clearly. 4. What’s your most cherished A Chorus Line memory? My momma screaming in the documentary, Every little Step, for me when I got the job and then coming to opening night, dancing with me at the after party. She passed away in 2013. Also, watching Charlotte d'Amboise in her rehearsal for Cassie and moved to tears at all the layers she put into that dance. Just inspiring. Having her as a role model in the show was grounding and informative. She is one of the most genuine people I have ever met in this business. 5. What’s the coolest thing you kept from a production you’ve been in? I kept my wedding band for Kristine in A Chorus Line for the longest time and then ended up giving it to an old student of mine when I played Cassie and she was Kristine in a regional production at Music Theatre West. It was so special. I also bought the dress I wore for Kathy in Company with Neal Patrick Harris and wore that quite a bit. Man, I was a small fish in a huge ocean with that cast. I treasured every moment. 6. You teach at AMDA. What do you wish a teacher had told you about Broadway? I say it to my students all the time that Broadway can be magical and also hard. Imagine doing the same thing every day, the exact same thing every day and not getting bored. It’s one thing to do a three month run of a show, make friends and enjoy the time and then on to the next. However, one of the best things is that when you do get in a show that runs for a good chunk of time it’s a great steady job. You can get into a routine and breathe knowing you have work and you don’t have to hustle running to auditions for the next gig. This is also true for mostly seasoned professionals who have done the touring and regional work and want to live in the city doing what they love. Yes, it can be difficult to and sometimes takes a lot of time, but when you do arrive on the great white way you know to not take it for granted. The cream of the crop really is on Broadway. It’s an honor to be here again. 7. What’s your key to staying fit and healthy as a professional dancer? LoL! My fiancé said I have to tell the truth on this one…milk chocolate and Hello Fresh (meals mailed weekly with the exact box of ingredients) We are obsessed. Also, the show really is a strong dance show and working out eight-times-a-week helps immensely. I don’t drink soda. We only have water and sparkling water in our home and occasionally some juice, too. Don't miss Chryssie Whitehead as Go-to-Hell-Kitty in Chicago at Broadway's Ambassador Theatre.